"Aieem Namah. I receive the pure wisdom of life." 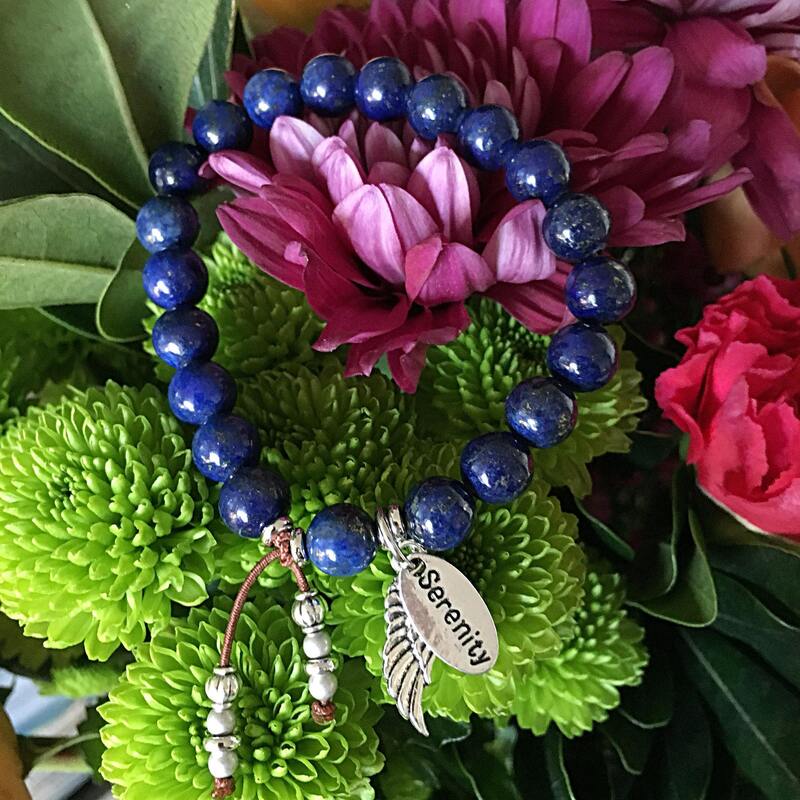 The Angel of Serenity Mala Bracelet features AA grade rich royal blue Lapis Lazuli gemstones along with a silver tone reversible angel wing and serenity charm to bring you clarity, strength, inspiration, wisdom and peace. 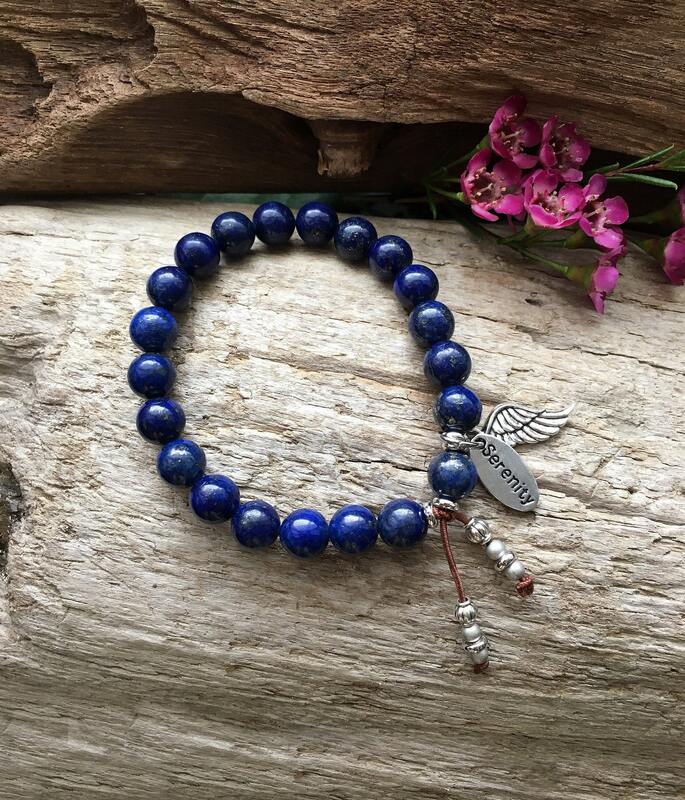 Lapis Lazuli is an ancient gemstone used by shaman and healers. Early civilizations valued Lapis more than gold. These rich blue gems quickly release stress, bringing deep peace. They possess enormous serenity and can quiet a busy or restless mind, lessen confusion and increase concentration. Lapis Lazuli can recognize psychic attack, block it, and return the energy to its source. It inspires deep inner self knowledge and encourages you to take charge of life. This powerful gem enhances communication and can bring truthfulness, openness and mental clarity. It inspires you to say just the right thing, as if by magic. It can also build courage and confidence, and help to overcome shyness. 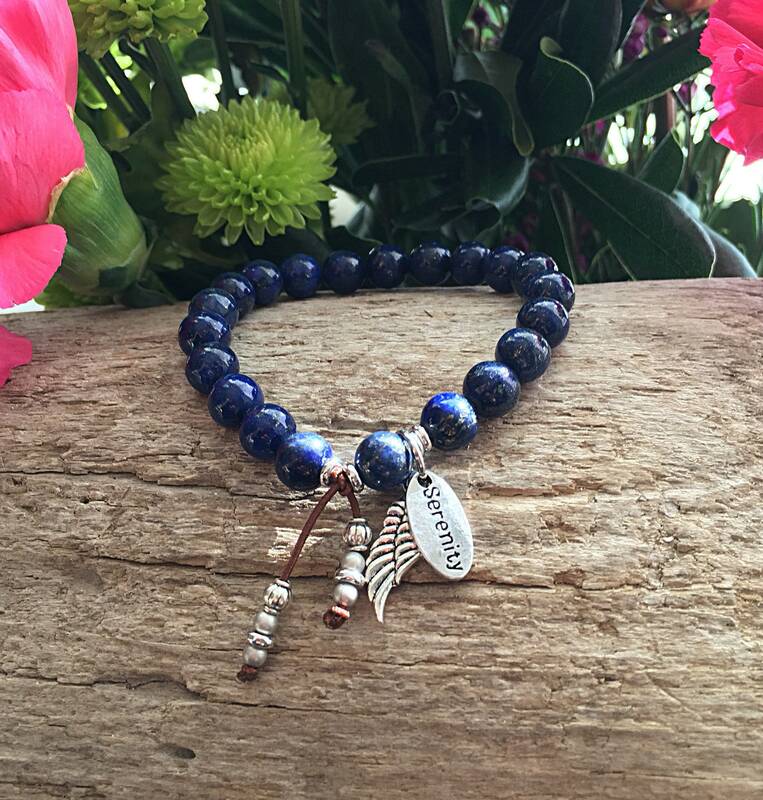 Lapis Lazuli will help you confront the truth, wherever you find it, and accept what it teaches. It is an excellent stone for harmonizing conflict. It can even alleviate pain, especially headaches, and help overcome depression. 8mm high grade gemstones, strung on strong elastic stretch cord. One size fits most. Custom sizing is available.